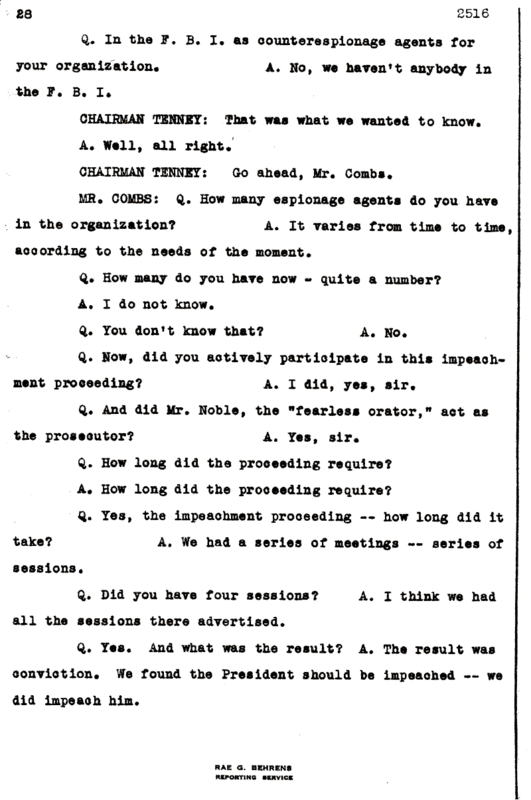 Document Notes: Gives interplay between ACLU director and the committee on various subjects including an "impeachment" of FDR after Pearl Harbor. This doc is part of the 4 boxes of material released in the past five years by the California Senate Rules Committee. 76 boxes of material are still being withheld.